Kitchen lighting is not an easy feat. The kitchen is one of the busiest places in the house, therefore you must illuminate it properly. You don’t want to make mistakes as you prepare, cook, and eat your food, right? 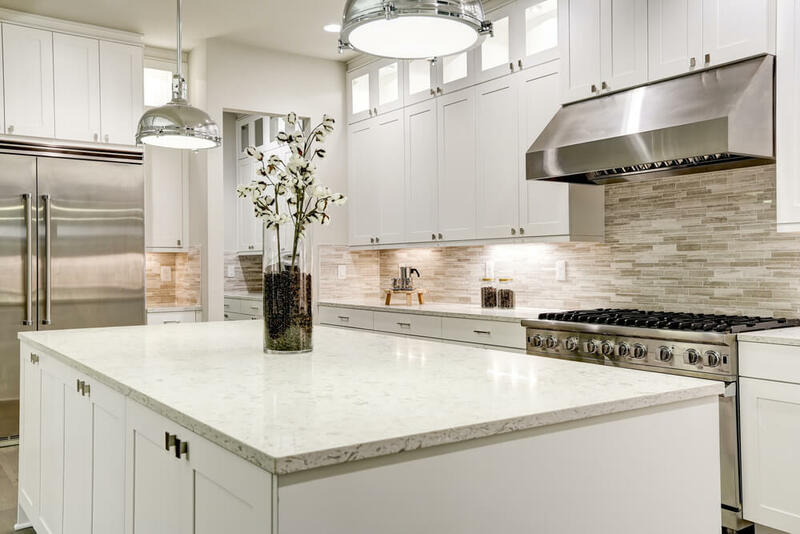 In this blog post, we’re going to discuss the most efficient kitchen lighting schemes and all the factors to consider when doing it. Use this expert advice for your upcoming kitchen renovation or your little update this spring. Almost all households have a kitchen that runs from morning til’ night. Aside from being a place to cook and eat, it is also a spot for entertaining guests. Needless to say, the kitchen is a busy spot. You need good lighting for it allows you to perform all the tasks safely and accurately. Not to mention, proper and creative lighting can elevate the look of the kitchen space. It can turn into a functional, cosy, or intimate kitchen in just one click of the switch. We highly recommend that you plan your kitchen lighting during the design stage of your kitchen construction or renovation. Moving light fittings and fixtures in a complete kitchen is an expensive chore. Not to mention, you got to do stuff such as patching and painting the ceiling again. Additional cabling and wiring also drives the cost up. As the name goes, layered lighting means properly illuminating the kitchen while using shadows and light to highlight the kitchen’s best features. The layered kitchen lighting consists of ambient, task, and accent lighting. Each type meets a particular need. Called general lighting, these are the lights you use to illuminate the entire room in a uniform level of light. It is the first thing you switch on the moment you step in the kitchen. For ambient lighting, you need to use a strong and bright ceiling light. You might need additional lighting in some areas of the room. We recommend LED recessed lights for this job. Strategically place the LED lights across the ceiling to get the most out of it. Fixtures such as wall sconces and floor lamps will illuminate the walls. Cove, soffit and valance lighting that bounces light off ceilings and walls. As the term denotes, down lighting aims to shine down on a space. It aims to illuminate a certain area so you can do specific tasks and chores in there. You use task lights while preparing or cooking food. Providing sufficient illumination for prepping meals, cooking, and washing up helps create a safe and efficient kitchen environment. The areas in the kitchen which needs task lighting are under the upper cabinets and above the kitchen island. If you find the counters underlit, install under cabinet lights. Pendant lights over the kitchen island and the dining table are also considered task lighting. This light is mainly used for highlighting or drawing attention to some parts of the kitchen—the cabinets, backsplash, toekick, artwork, or a bookcase. Designers commonly use recessed or strip LED lights for accent lighting. Accent lighting is not limited to aesthetic purposes. It can also help a visually impaired people move in the kitchen. For example, toe kick lights can help a person judge the depth and distance of the floor when climbing down a high stool. Homeowners mainly choose their kitchen lights based on the design. There is nothing wrong with it. You deserve to get the best and highest quality of light fixtures available for you. In choosing your light fixtures, we recommend that you base the design from your home’s architecture. Relate your kitchen light fixtures with the others found and displayed in the other parts of their house. Similar lighting styles creates a smooth sense of flow, especially when you have an open-plan kitchen which is connected to the dining and living areas. Aside from the design style, you should also think about the proportion of the light fixture to your kitchen. A large fixture hanging above a small kitchen will overwhelm the space. On the contrary, a small light fixture in a large kitchen might look useless. In addition, hang your pendant lights at a proper height. It should not hit your heads when you’re trying to cook or to eat. 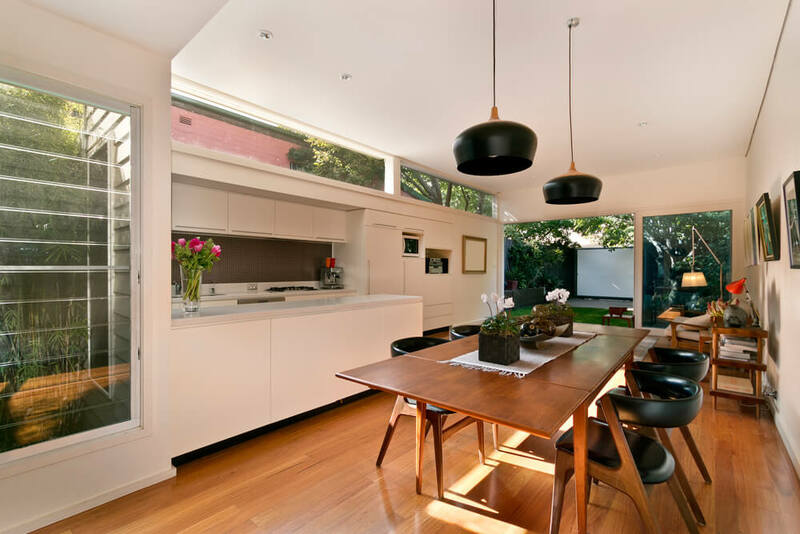 Normally, pendant lights are at least 80cm above the surface of the benchtop or table and hung exactly at the centre. People are gearing towards having smart homes, hence lighting control systems will be a smart investment to do in your kitchen. Start with controlling the light levels in your kitchen using a mobile device. Use dimmers, it personalises the mood of your kitchen. It can give you bright lights when you need to cook and warm glow when you need an intimate dinner. If you want a smart kitchen lighting, you’re gonna need the help of a home design professional. Aside from a designer, you need someone to do the electrical work in your kitchen.